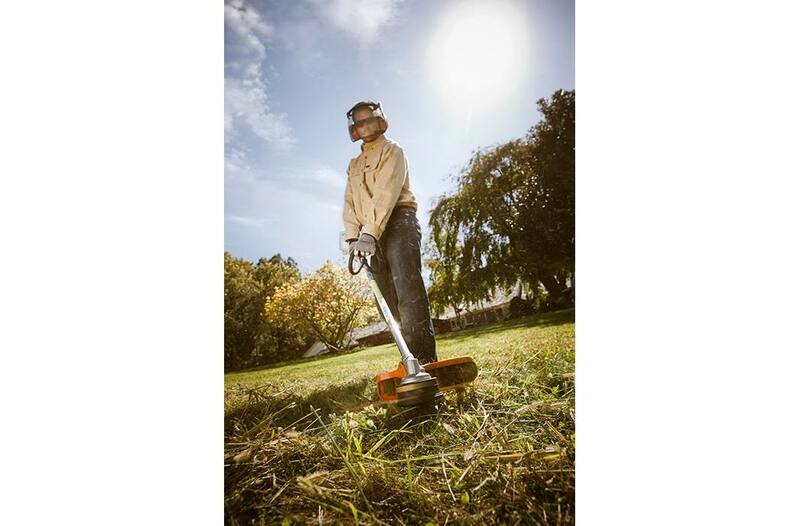 Tues-Sat: 9:00 a.m. 6:00 p.m.
Get a handle on large or difficult trim areas with the FS 56 C-E trimmer. 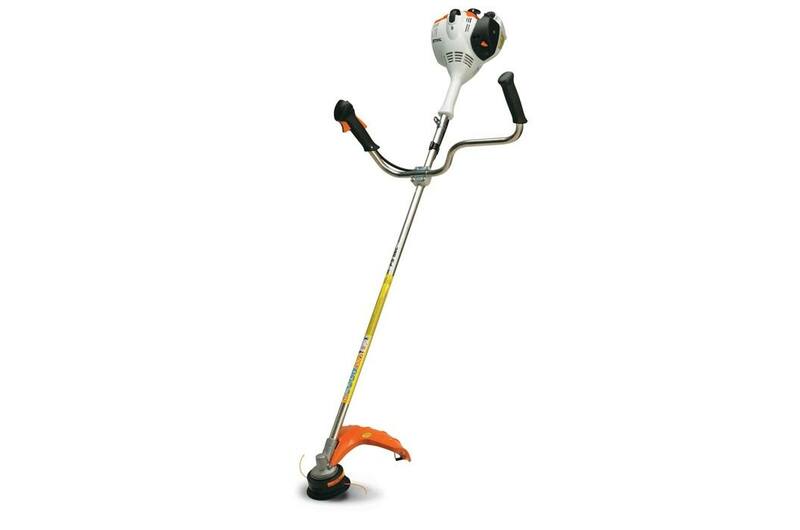 This STIHL trimmer features a straight shaft and ergonomically designed bike-style handles for greater comfort when trimming over large terrain - and for extended periods of time. It also features a low exhaust emission, fuel-efficient engine, so you have fewer refuels and fewer exhaust fumes cramping your style. 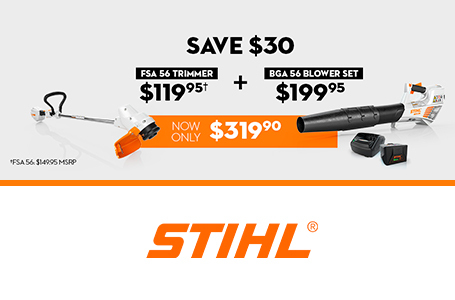 This trimmer also includes Easy2Start™ technology, making starting nearly effortless. Support strap (4130 007 1020) Support strap provides additional support while working. 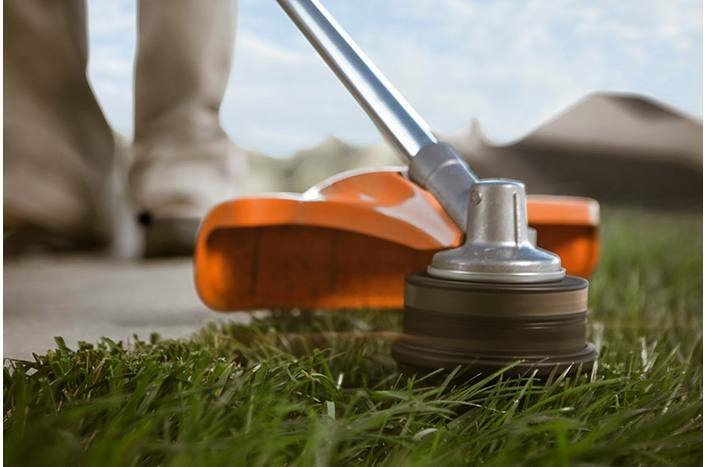 Bike Handle: When used in conjunction with a harness, the bike handle allows the machine to be easily guided, enabling a smooth horizontal mowing action to cover large areas quickly and efficiently. 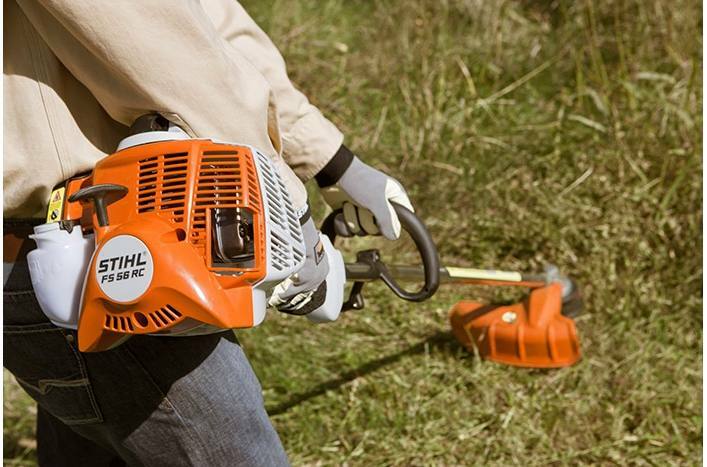 With soft grips for increased comfort, the bike handle provides greater control and helps reduce operator fatigue. : See it in action!